This is the last installment in my short series of Groundhog Day printables for kids! Welcome to day 7 🙂 Today, I have a set of 12 Groundhog Day Counting Cards for you. They cover numbers 1 through 12, and I’m currently using numbers 1-4 to introduce my 2-year-old to counting. There are many ways to use the cards for different math skills even beyond counting. I’ve included a few extension ideas for preschoolers and kindergarteners at the bottom of the post. The pdf file contains three pages with four counting cards to a page. There’s one card for each number from 1 through 12. 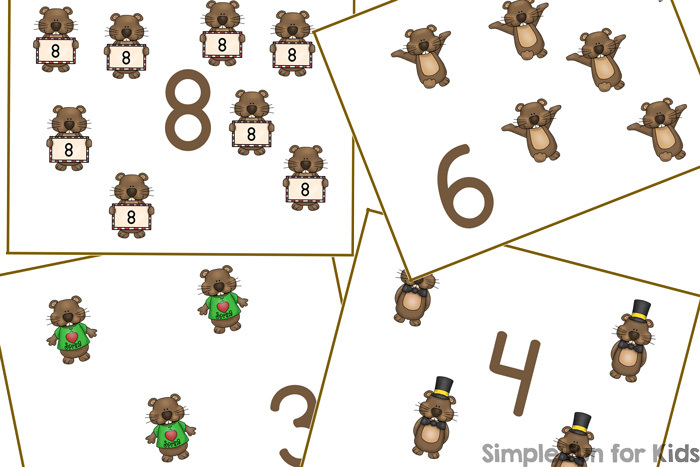 Each card shows a numeral and the matching number of groundhogs. Print out the page(s) you want to use, laminate them if you want, and cut the cards apart at the brown lines. We like to look at them, talk about the numbers and the groundhogs, count the groundhogs, and practice 1:1 correspondence by putting one manipulative on each image. Older kids could use the cards to practice number order (ascending or descending), addition or even skip counting. 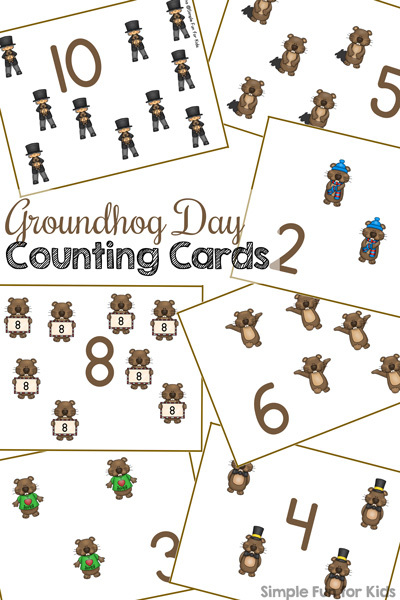 Download your Groundhog Day Counting Cards! 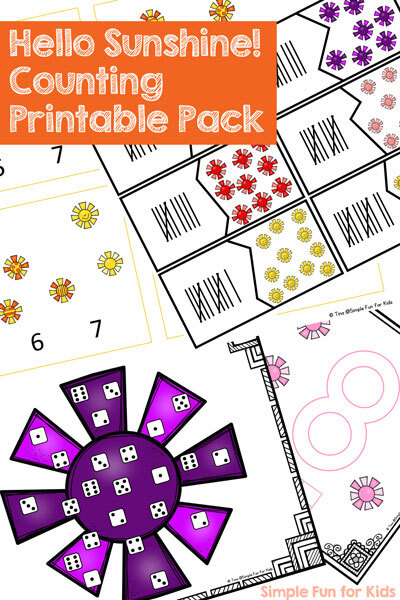 Are you looking for more counting cards? Here are a few others!